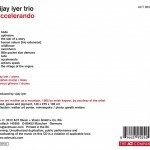 ACT Music presents Accelerando, the much anticipated follow-up to the Vijay Iyer Trio’s Grammy-nominated Historicity – voted the No. 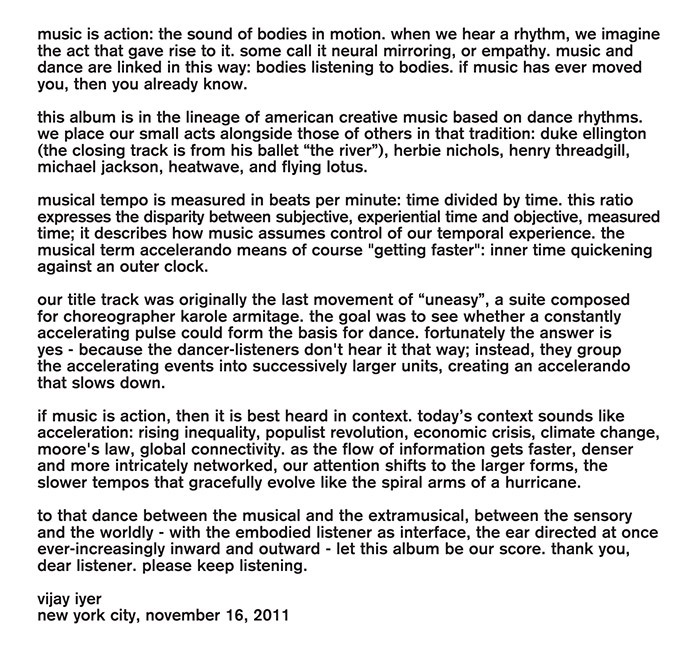 1 jazz album of 2009 around the world, including in the Downbeat critics’ poll and by The New York Times. 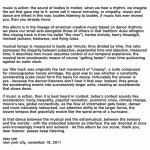 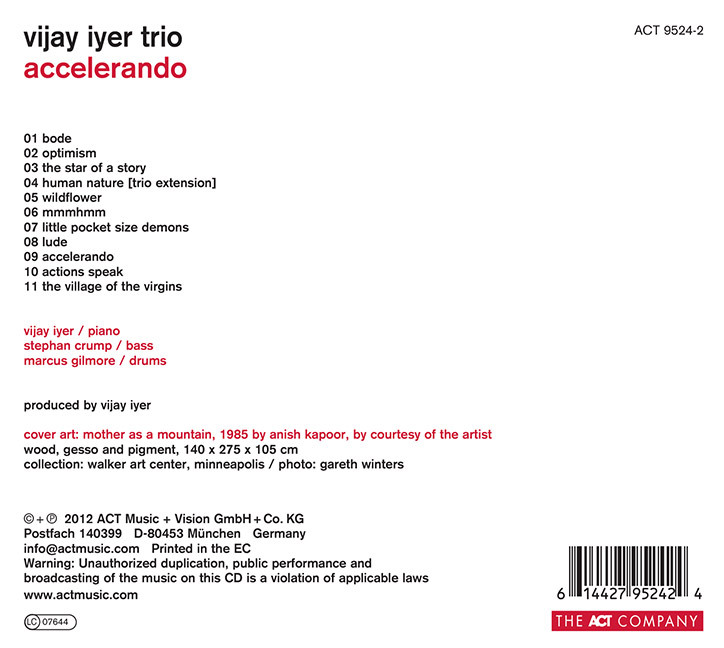 Accelerando is an album driven by the visceral, universal, intoxicating experience of rhythm and sees Iyer and his telepathic trio mates – bassist Stephan Crump and drummer Marcus Gilmore – go both deep and wide.